Registration IS OPEN for our 2019 Drivers' School Events!! Check our Events Page for information and registration! PCC-ACNA is proud to announce our newest sponsor, Capitol Shine Detailing with locations in Bethesda, MD and Arlington, VA. They offer everything from basic hand washing to Ceramic Pro Xpel paint protection. Contact them at Capitol Shine and ask about the Audi Club discount too. Here's the 2018 Drivers' School calendar. Registration is targeted to open before the start of the new year, so start making plans! Don't forget to register for PCC-ACNA's 19th Annual Fall Charity Fun Run. As with all past Fun Runs, 100% of the net proceeds from registration fees will be donated to the University of Virginia Medical Center Parkinson's Research Fund. 2017 Driver School Event Dates!! Many know that Virginia International Raceway (VIR) was closed for part of the summer in order to repave the track. Fall Dominion Raceway HPDE and Social events! Don't forget to check our Events page as registration is open for our annual HPDC event at Summit Point, our HPDE events at VIR plus two HPDE events at the new Dominion Raceway. 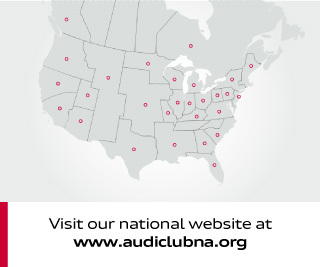 As the driving season comes to a close, I’d like to personally thank each and every one of you for making this past year wonderful and exciting for the Potomac Chesapeake Chapter of Audi Club North America. We grew not only in number but in becoming more of a community and for that you all deserve a round of applause and a pat on the back. Without you, none of our events and newly formed friendships would be possible. Again, Thank You! Due to the inclement and potentially damaging weather, our High Performance Driving & Car Control Clinic scheduled for this coming Saturday, Oct 3 has been POSTPONED to Sunday, October 18. Registration will remain OPEN for a while longer due to the date change. If you are already registered and cannot attend on the 18th, please email our event master Michael. 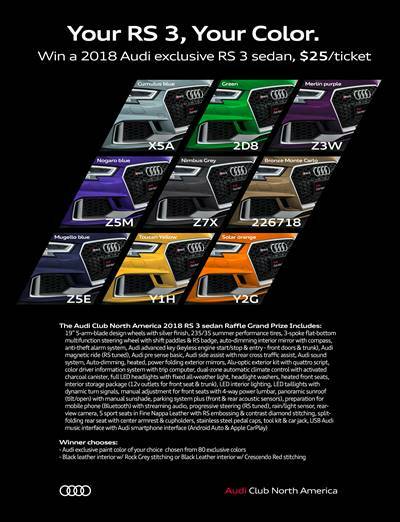 Here is another article and a lot more pictures from the Audi Club member exclusive event at Audi of America Headquarters on July 25th. 2016 A3 Sportback e-tron1 Driving Experience coming to D.C. If you are 25 or older, be one of the first to drive the new, 2016 A3 Sportback e-tron®1, Audi's revolutionary plug-in hybrid. The A3 Sportback e-tron®1 Driving Experience will be in Washington D.C. on Saturday and Sunday, August 29-30, and other cities in the U.S. from August to early October. The PCC-ACNA team is proud to offer at private tour of the Smithsonian Steven F. Udvar-Hazy Center on Thursday, July 30th. 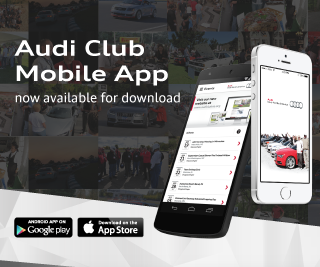 This event is free and only open to Audi Club North America (ACNA) members. Space is limited, so for more information including how to register, check out the Event Listing. Looking for something to do the weekend after July 4th? How about our second "Shakes and Brakes" summer drive on Saturday, July 11 (rain date is July 12). Get more info and register from the EVENT LISTING. Annual Fall VIR Drivers' School Registration is Open!! 3rd Annual Spring Fun Run - Registration Open!! We have added more monthly evening social gatherings in March at multiple locations in Maryland and Virginia, so come out for an evening of casual hanging out with fellow enthusiasts. Click on the event links to the left to get more information or go to our Events Page. We have also scheduled our 17th Annual Fall Charity Fun Run. Check the event listing for more details. Registration Open for Spring Drivers' Schools! Registration for PCC-ACNA's events at Summit Point on March 21-22 and VIR on April 13-14 is open! Click on the event links to the left to get more information or go to our Events Page. More events are being planned and will be added soon including the annual Spring and Fall Fun Runs and various social events.